Pen-y-Parc Cottage01291 625517work Self-cateringThe cottage was created in 1993 by converting a stone built barn, previously the hay store for the farm. Whilst maintaining the original stone/slate construction for the exterior of the building, the interior has been completely re-constructed and fitted to provide all the comforts of modern day living. 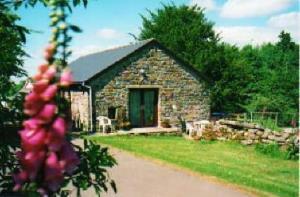 The cottage was created in 1993 by converting a stone built barn, previously the hay store for the farm. Whilst maintaining the original stone/slate construction for the exterior of the building, the interior has been completely re-constructed and fitted to provide all the comforts of modern day living. In an area of outstanding natural beauty overlooking Wye Valley and Severn. Outstanding views. Solo unit with own garden/parking. One floor layout, fully fitted throughout with central heating. Close to Chepstow, Monmouth and Tintern the cottage is an ideal base for touring the Wye Valley.